In our last blog post we wrote a bit about Google AdSense advertising network and we were surprised by the number of questions about the setup of Google AdSense account we received. Although you can find dozens of really good guides for AdSense all around the internet beginning with Google’s own support pages, we decided to write more on the topic. 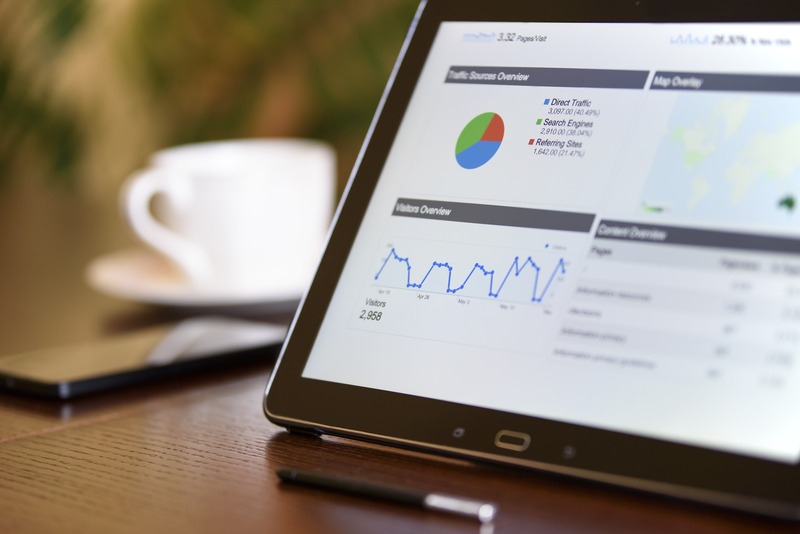 Therefore, the following article is a beginner’s guide in Google AdSense in which we will cover the creation of a new AdSense account, the process of admission, which is probably the most difficult and important part, up to your first paycheck as an AdSense publisher. But first, let’s discuss what are the pros and cons of joining Google’s advertising network. First of all, this is one of the biggest and one of the most popular among both advertisers and publishers advertising networks on the market. Being able to become a publisher for free is also a good thing. Another strong suit is the ease of use. It has a really low point of entrance and can be successfully used by an amateur, while veterans can optimize the displayed ads to a very high extent boosting the revenue by a wide margin. Lastly, AdSense will deliver you the ads, so it saves you a lot of time you can use for other things than meticulously creating banners. However, like everything else, Google AdSense has its cons. You can get your payment only when you reach $100 and the payment options are very limited. Although they accept some affiliate and text links side-by-side with their ads, Google doesn’t really work with any other advertising network. Moreover, you don’t have control over what ads will be displayed on your website. Often, the displayed ads won’t fit your website design and will negatively influence the UX. Finally, a thing many consider an atrocious lack of transparency – you have no access to any ROI data and the revenue is determined by Google. In short, you have no idea how much you will receive from displaying the ads. For many website owners, this is a big no. Lastly, they have a very strict policy regarding the type of content they accept and many potentially harmless websites often aren’t up to Google’s standards. How to create a Google AdSense account? Now, let’s say we decided to advertise with Google AdSense network. We need to start with creating a new account. This can be done from Google AdSense page. Choose ‘Sign up now’ and pick a Google account you want to use as your AdSense account. You’ll have to input the URL address of the website you want to show ads on. You have to be the owner of the website and the entered URL has to be to the main site (not a sub-page or directory) without any additional parameters. Then choose if you want to receive additional information and tips to your email inbox, accept the Terms of Service and choose the territory/country language the content of the website is in. Now, we can go to account activation. It is time to activate your newly created AdSense account. You have to fill in the payment details. While doing so, remember to always use the exact same name you use for your bank account. Otherwise, you may be unable to properly receive your payment. Be sure to check if the name is the same if you are unsure because for some regions and countries it is practically impossible to change the payee name once submitted, even though the official Terms of Service allow change of name in case of a spelling mistake (you can never change the ownership). You’ll also have to connect your site to the AdSense network by copying the code snippet and pasting it into the header section of your website. This should be done on the page that has the most content and is regularly updated. This usually means the main page, but some people prefer to add it on the blog page. At this point, your personal data and website were submitted for AdSense approval. Your website will now thoroughly check to see if it’s content does not contain any topics from the long list of prohibited and unsupported topics. Luckily there a detailed list of the prohibited topic which you can find here. The waiting times vary a lot: some people get accepted after 24h, others after a couple of weeks. Usually, you should expect Google’s decision in 2 to 4 days from the date of submission. If the decision is negative, you’re should be able to make some changes and try to apply once more. If the decision is positive your naturally ready to publish ads. It’s time to put the ads on your website. You have a whole range of ad formats to choose from. However, be sure to do it, you guessed it, according to Google’s guidelines. There’s a huge number of really great articles on this topic, but for the sake of this article, we’d like to keep it simple. The first and most important rule is to not obstruct UX. Also, the more doesn’t mean better, nor it means bigger revenue. The last thing you want is to drive your readers away with placement and the sheer number of ads. Some people say you should make the ads very visible, some that you should blend them with the site’s design as much as possible. Google themselves type four ad formats as the most prevalent and most profitable for publishers: 728×90 top horizontal banner, 160×600 side vertical banner as well as 336×280 and 300×250 squarish images. The answer to why they are so profitable is a really simple one. 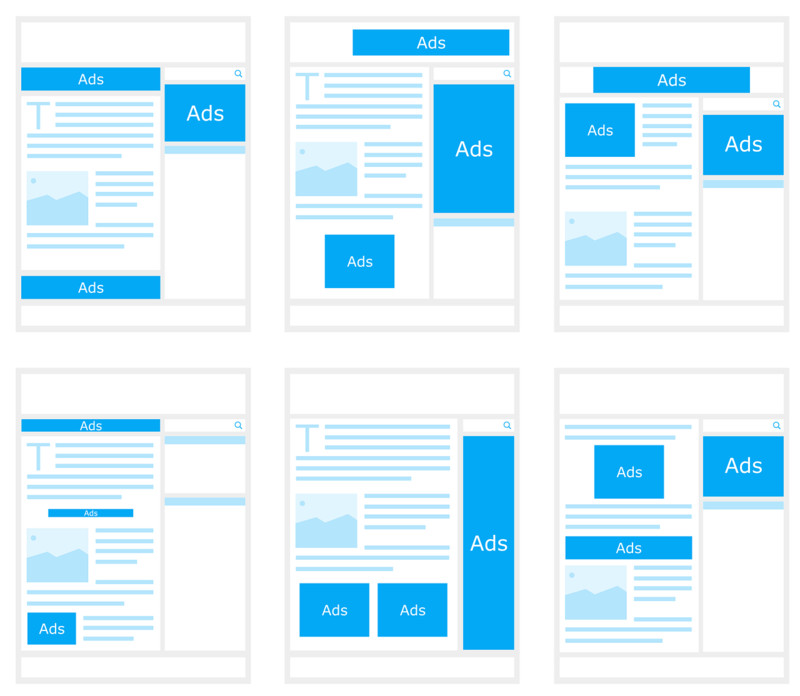 In the light of a big number of possible formats most advertisers deliver only some of the more “natural” ad assets, therefore these four have the biggest portfolio of available ads. Remember you will get paid after you reach $100. How much will it take? Hard to say. It depends on the traffic your website has, average session length and the content your site has – different industries have different average bids. Feel free to check out our portfolio of monetization tools and don’t be afraid to contact us anytime.